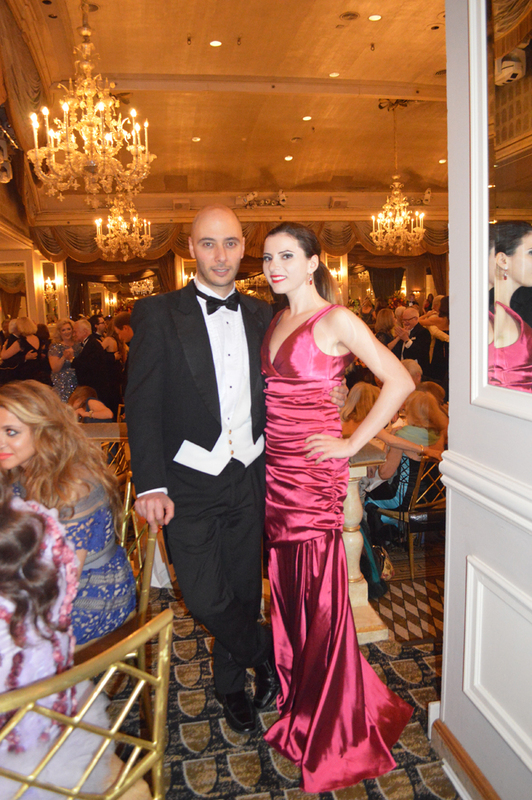 I had the honor of attending the 37th annual Russian Nobility Ball at the magnificent grand ballroom in the Pierre Hotel. 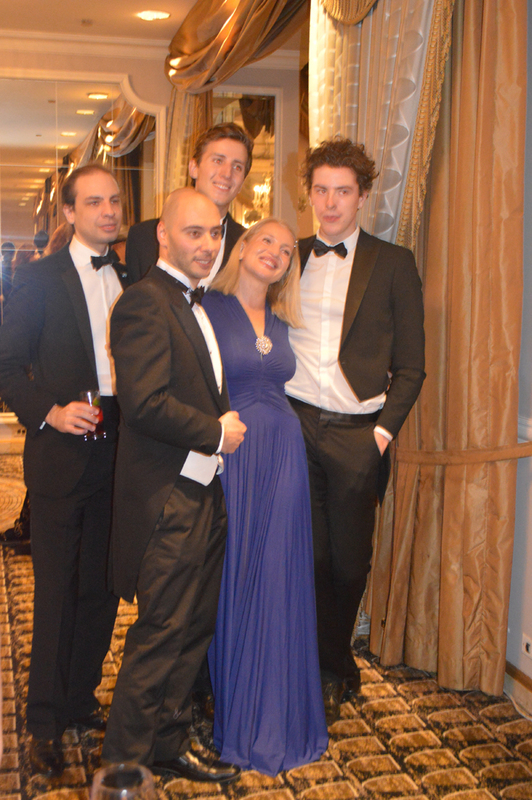 Since 1933, the Russian Nobility Association has exemplified the spirit of generosity in providing invaluable aid to orphanages, children’s hospitals, homeless shelters, and schools around the globe, as well as supporting Russian cultural and educational institutions. 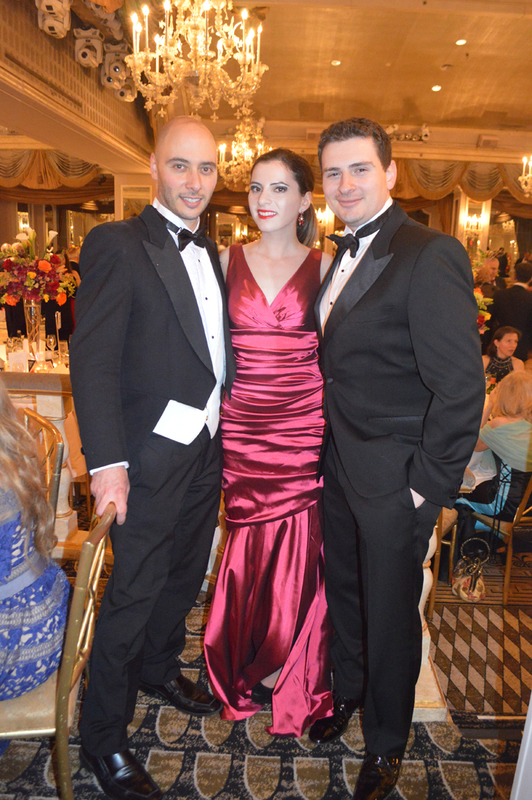 The Russian Nobility Association in America began in late 1933 when a group of Russian noblemen in New York headed by Prince Alexis Obolensky decided to open an American branch of the French “Union de la Noblesse Russe”. The French group, founded in Paris in 1925 and at that time headed by Prince Vladimir Troubetzkoy, sought to fill the role formerly held by the regional Nobility Unions of Imperial Russia. The primary purpose of the Union in emigration was the assembly of correct genealogical information about the members of the nobility who had escaped Russia, and to keep a careful registry of their further births, marriages, and deaths abroad. 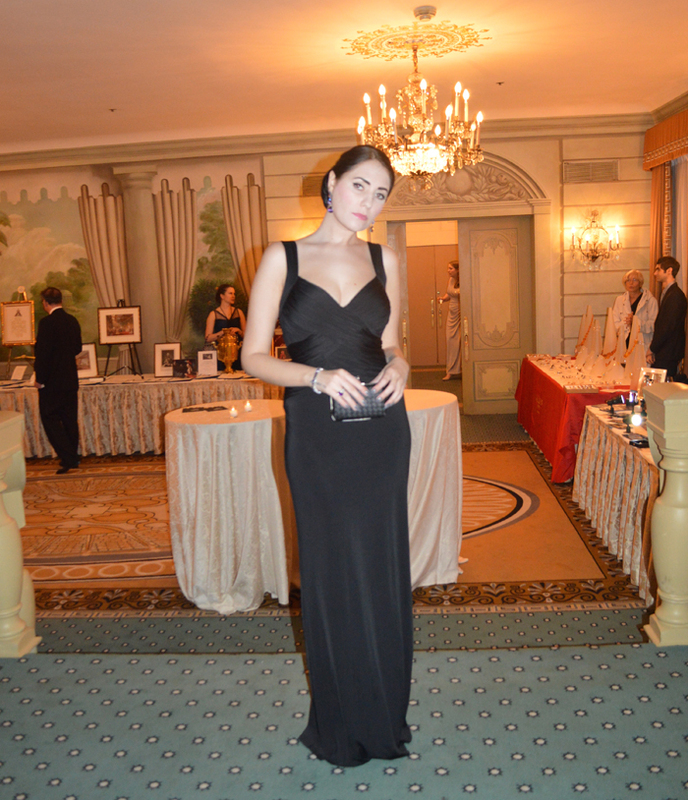 The early social events of the Association were reflective of New York’s “Café Society.” They were a real mixture of the ancient Russian titled nobility and aristocracy, New York Society, and a smattering of famous performers and artists. The earliest locations for events were the Hampshire House, the Ritz Towers, the St. Regis, the Sherry-Netherland, and the many Russian nightclubs and cabarets that dominated New York nightlife, including the “Russian Eagle” at the Sherry-Netherland, and “Oussadba” on East 57th Street. 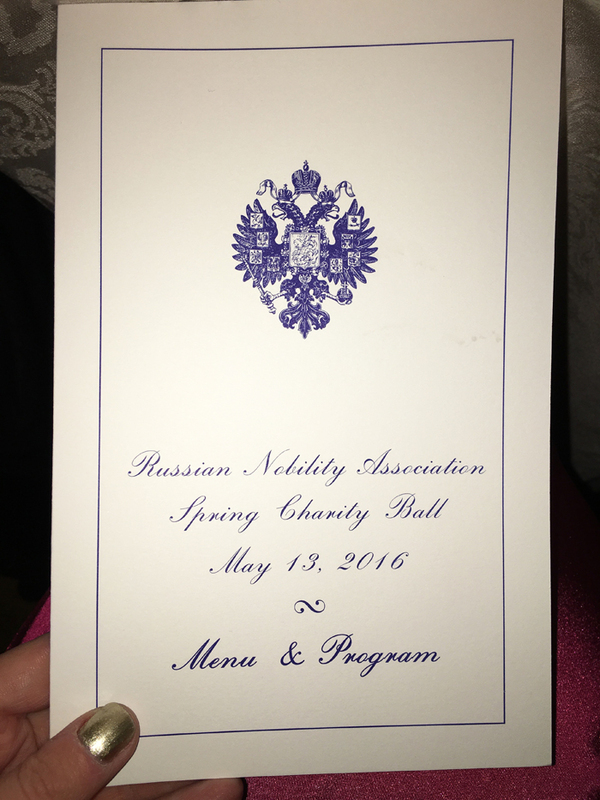 The Russian Nobility Association in America, Inc. (RNA) is a not for profit, charitable organization formed under Section 501(c)3 of the U.S. Internal Revenue Code. Donations to the RNA are tax-deductible as charitable contributions for US federal income tax purposes. There are no donation limits or restrictions on contributions to the RNA. 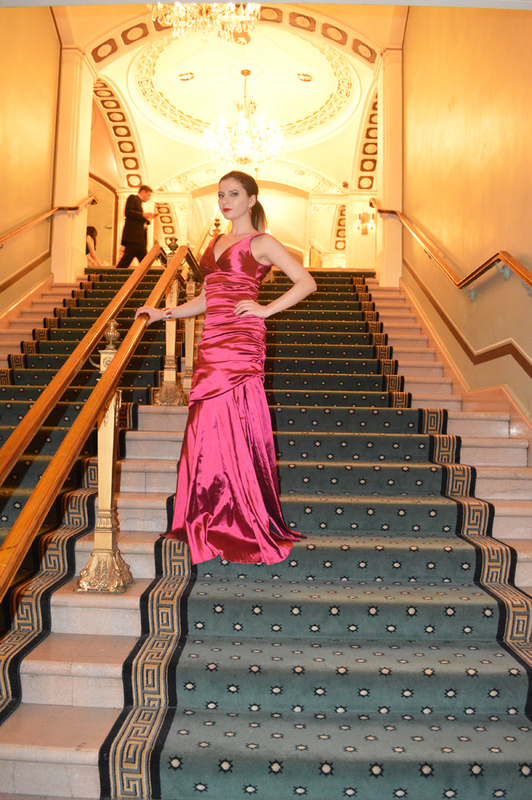 It was such an exhilarating feeling walking up the stairs to the grand ballroom at the Russian Nobility Ball. 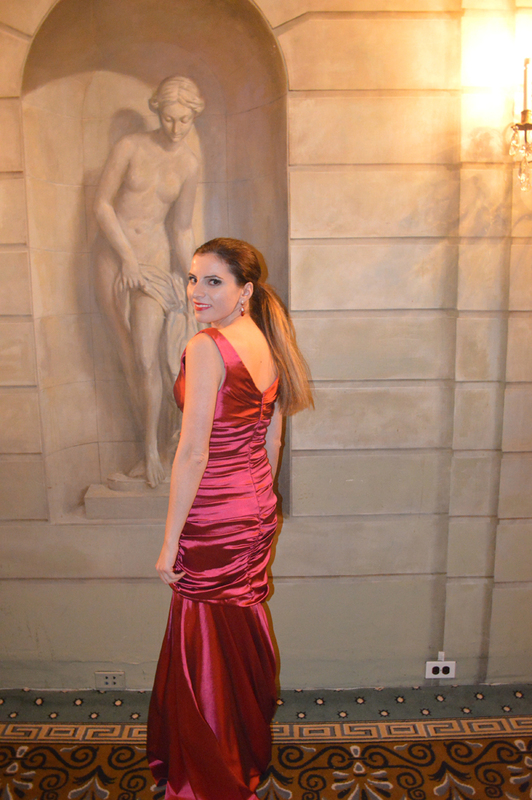 I wore a THEIA satin rouge gown for the occasion, and a red and white crystal bracelet that I got from the Viennese Ball. 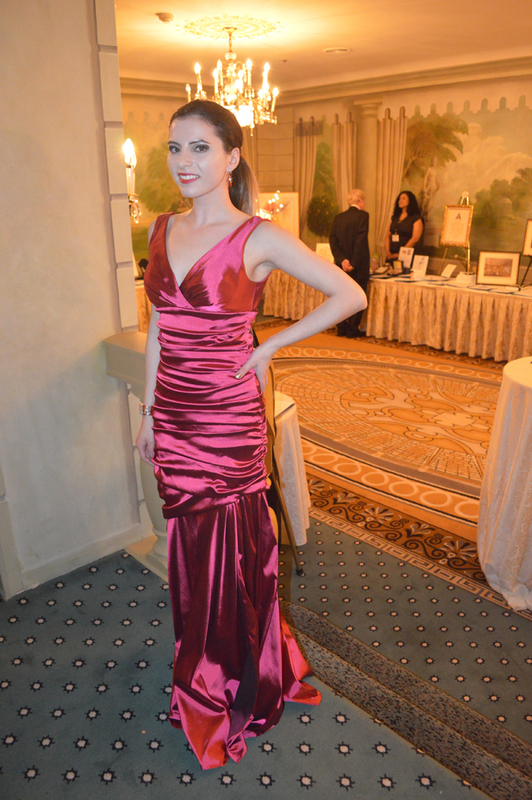 Both pieces were especially sentimental as THEIA’s designer Don O'Neill had given me his stamp of approval for this piece earlier that day when I couldn’t decide which one of his amazing gowns to wear. 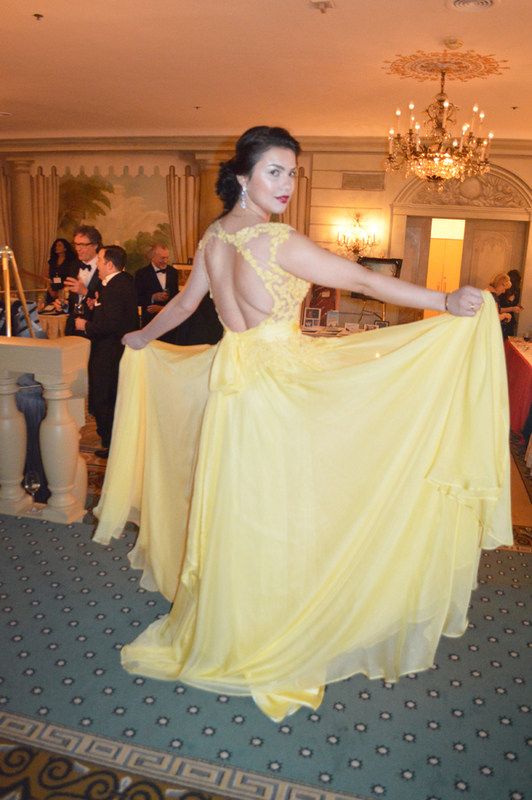 Whenever I choose a gown for a ball I’m very cognizant if it will go well with the overall theme, and ambience of the location. 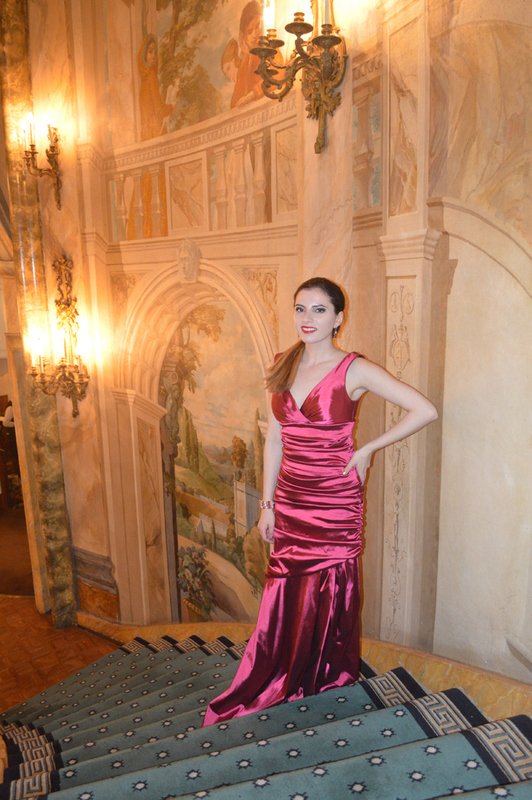 This THEIA gown certainly did with its rich rouge color which reminded me so much of Russian nobility. My bracelet was also incredibly sentimental as I got it as a present from the Viennese when I covered the Viennese Ball a few months ago. 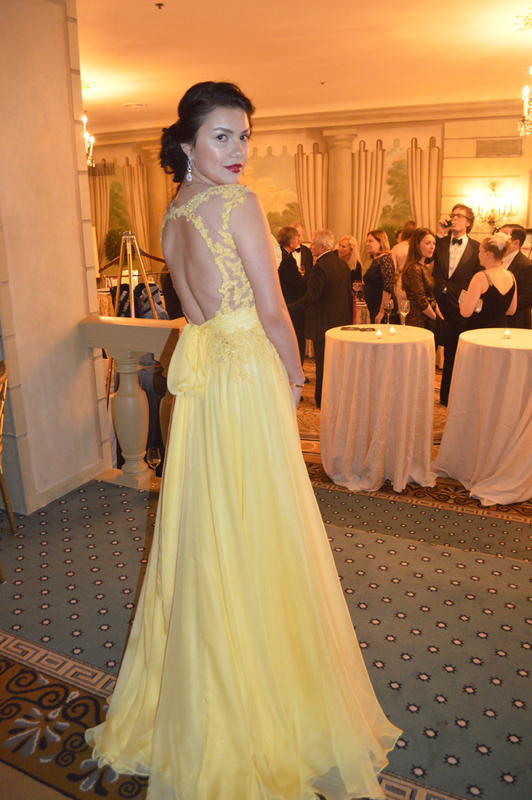 It was the perfect match in color for the gown, as if this was all meant to be in a twist of fashion fate. 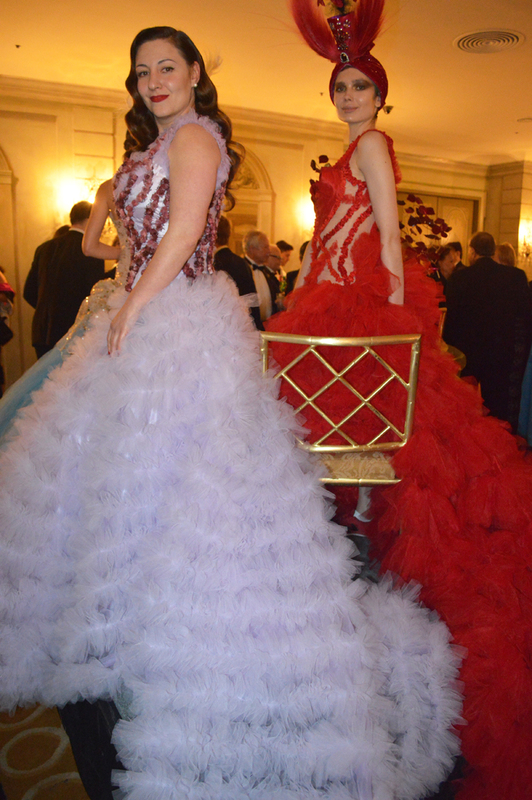 The cocktail hour commenced to start the evening of the Russian Nobility Ball. A bow-tie clad waiter was holding a tray of champagne as I walked into the room. Perfect timing am I right?! ;) I’ve always believed that life and these epic moments should be celebrated as much as possible. What better way to celebrate than to make a toast with champagne?! 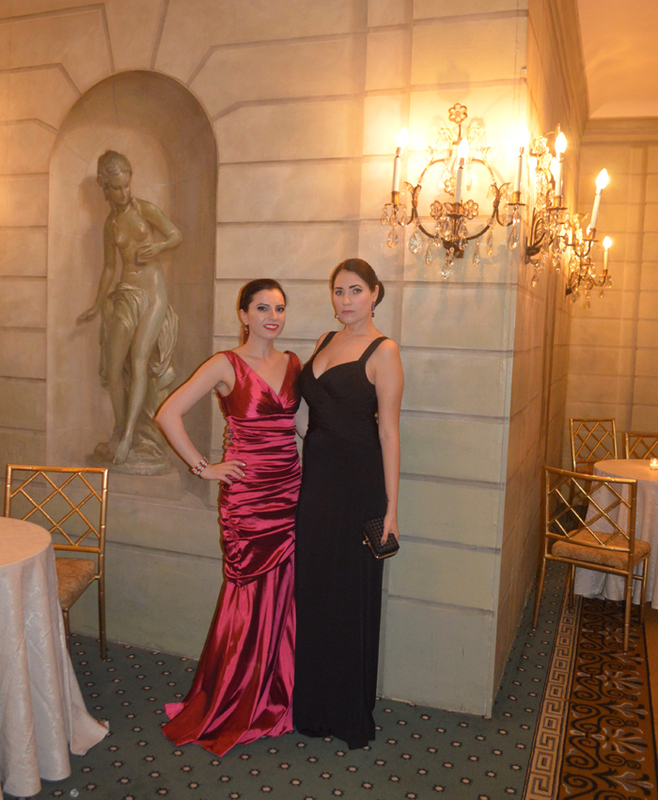 My good friend Eleonora Kobrenik, editor of Tartarus Magazine came with me to the ball. One of the best parts of going to these fancy events is having the chance to share these unforgettable memories with my friends. This was especially befitting as Eleonora is also Russian, and so this made it equally as exciting for her as it was for me. 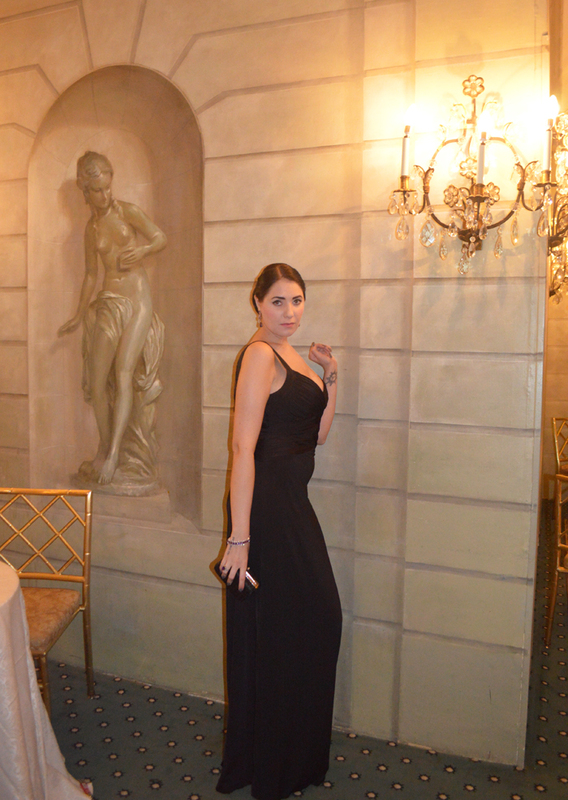 Walking around the cocktail room was so surreal. I felt like I was back in Russia again, and this was all just a dream. 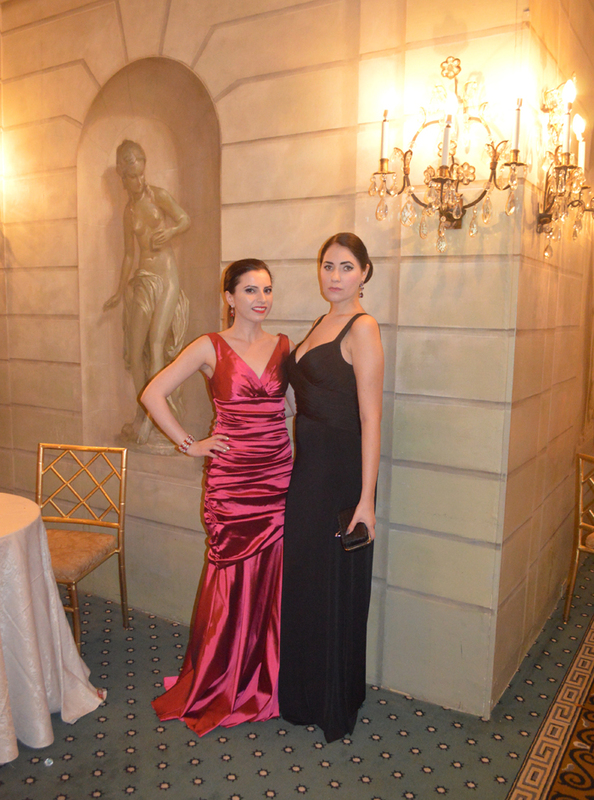 Russian language filled the Pierre walls as glamorously dressed Russian guests mingled around the room. Even though I’m Russian, I didn’t necessary feel like I belonged. In fact, I almost felt like an outsider as I tried to speak in Russian, but my American enunciations were audibly present. The Barynya Ensembl provided Russian balalaika entertainment which certainly set the mood for the European themed evening. 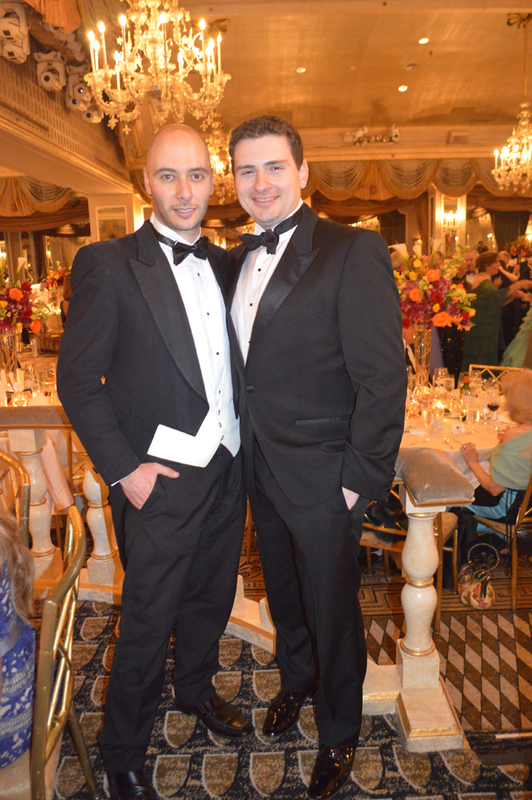 I didn’t really expect to know anyone at the Russian Nobility Ball, but as fate would have it I ran into my friend and well-known fashion icon Leonid Gurevich. Leonid is a fashion designer, stylist, art director, and fashion photographer based in NYC. Fashion editorials that Leonid Gurevich styles and photographs, as well as the clothes he designs, offer voluminous portions of much-needed escapism, filling the void created by John Galliano and Alexander McQueen. 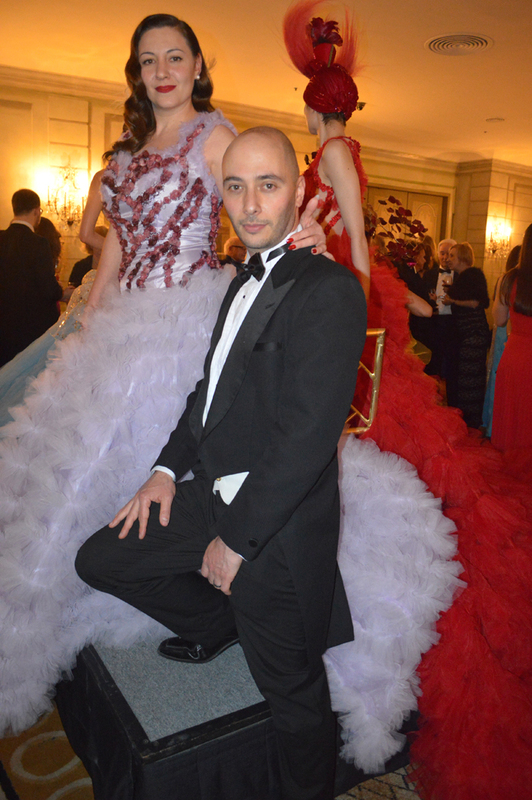 Leonid was at the ball to present his incredible collection of couture gowns. I didn’t know this at first, and when he mentioned to take a photo by the gowns I naively said that it might be too crowded to get through. Leonid of course responded back that these were in fact his gowns, and just like that people naturally parted for all of us to take a photo! 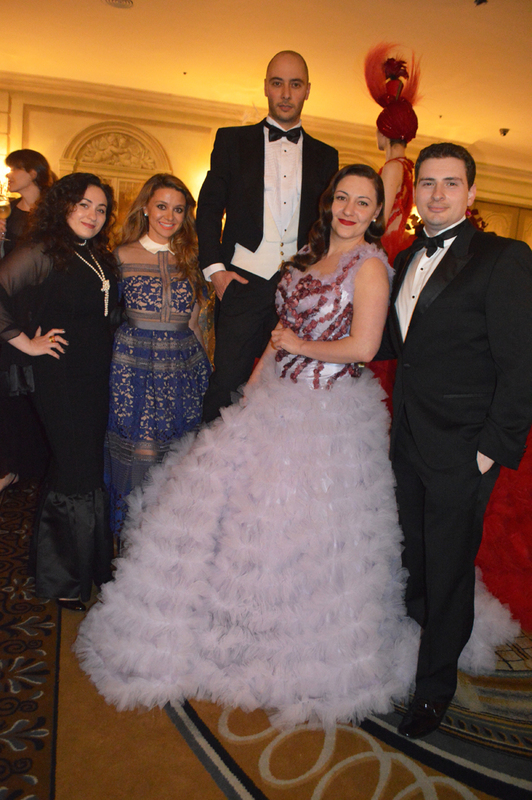 Leonid’s sister was dressed in one of his gorgeous lilac ball gown creations. 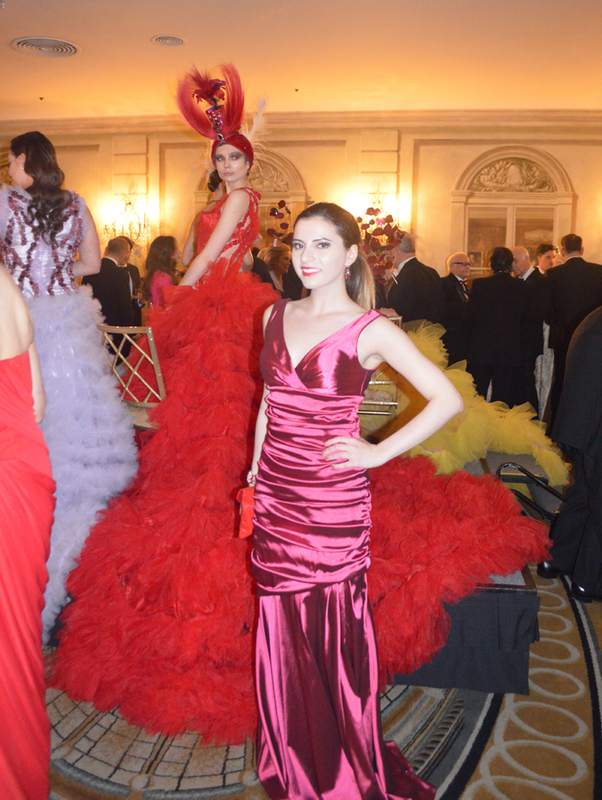 She looked as if she just stepped off a Paris Haute Couture runway as she stood next to an equally extravagant model dressed in a red Leonid Gurvich gown. 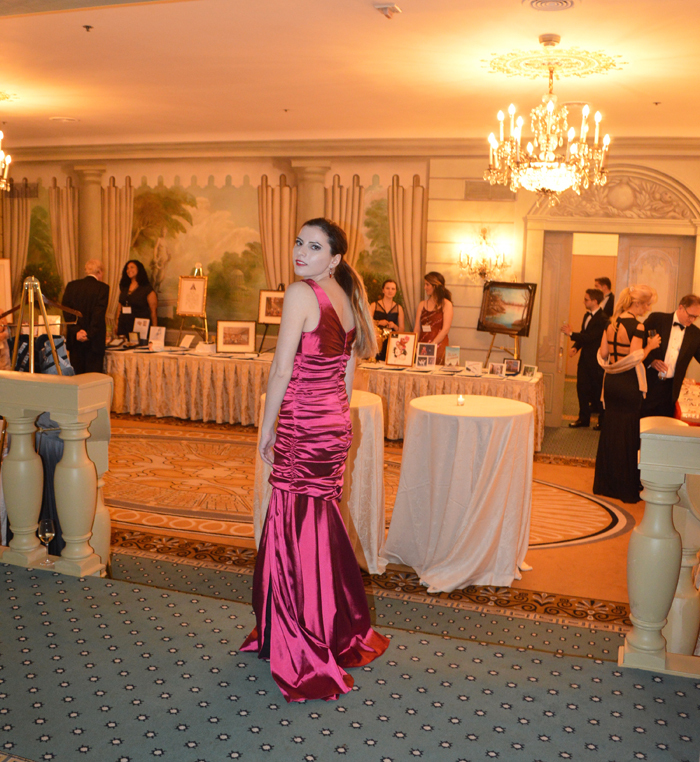 After mingling with Leonid, and meeting his group of equally fascinating friends I walked over to see the silent auction. There were so many interesting pieces at the auction like the above golden chalices fit for a king from the Game of Thrones. I could just imagine having these babies on my dinner table to entertain guests. Definitely a conversation starter! 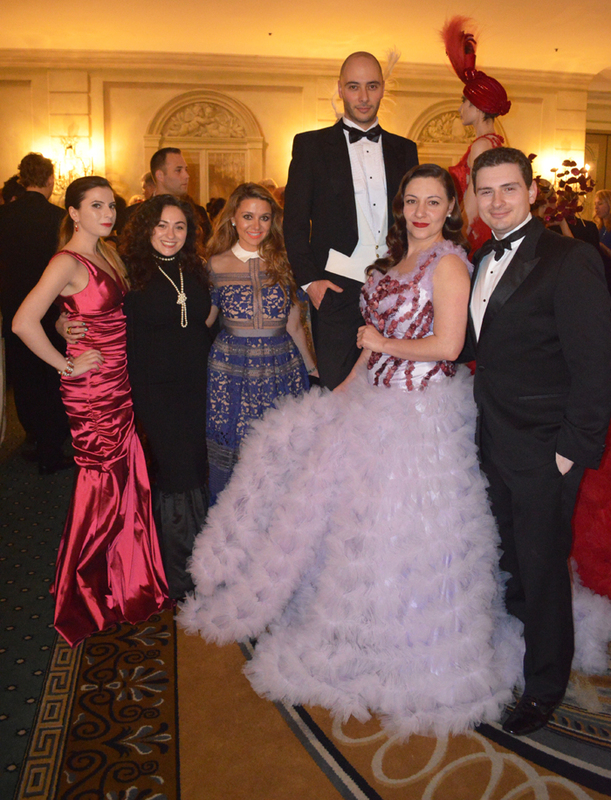 Another one of my favorite things about events like the Russian Nobility Ball are the worldly people that I have a chance to meet. 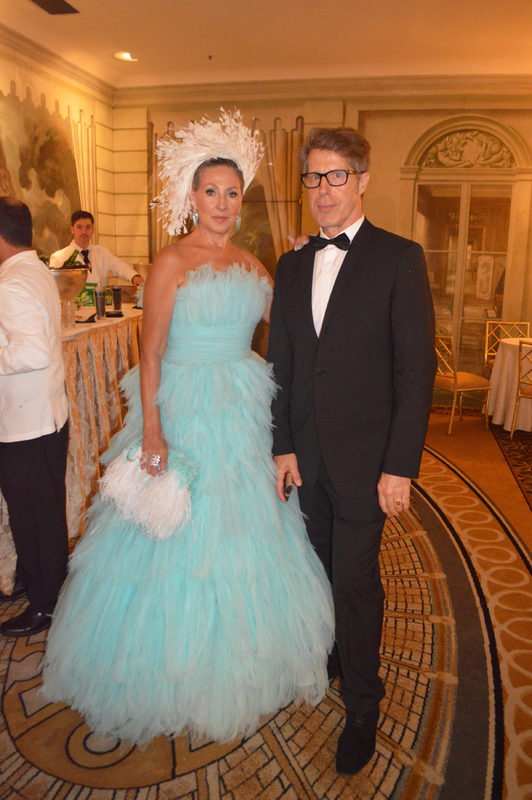 This particular ball was filled with royals, and equally royally dressed people like this lady who totally stole the show in an ice blue taffeta gown with a complimentary head-piece. After the cocktail hour guests were escorted into the grand ballroom for the evening’s entertainment, dancing and dinner. I took a moment to just stand there and fully appreciate the moment. Tables were starting to fill with guests, and we slowly made our way to our seats. The view from our table was certainly incomparable as we were seated front and center! 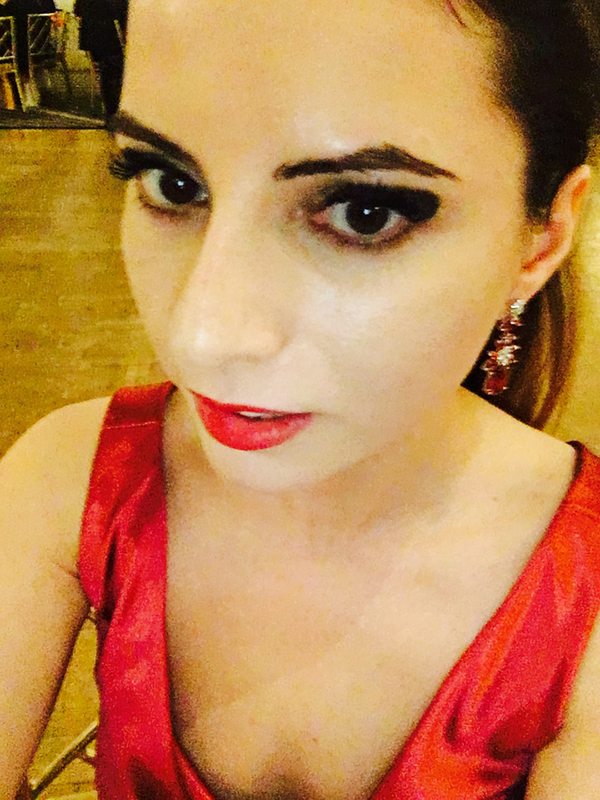 I didn’t have time to pick out earrings that day so Eleonora kindly let me borrow her stunning red ruby? 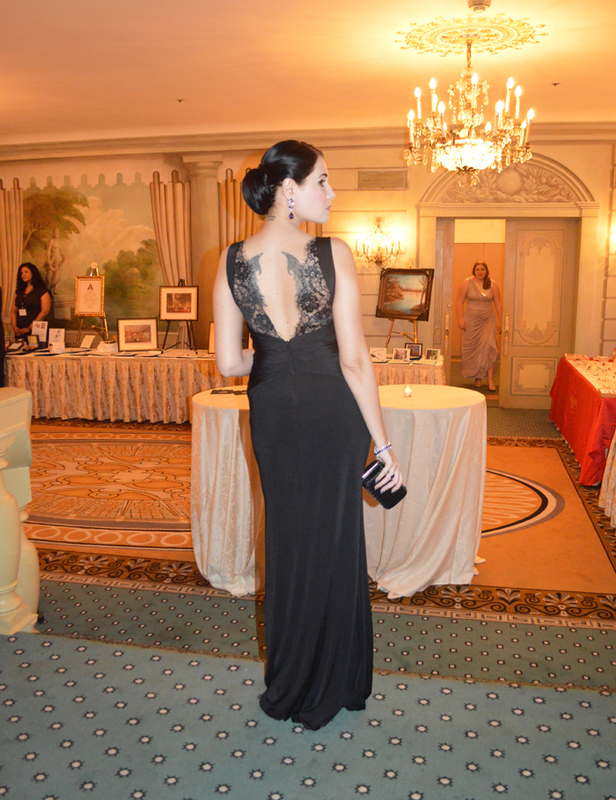 jewels that went ever so perfectly with my gown. The foodie in me was especially thrilled to try the Endive and Roquefort salad with watercress, thinly sliced prosciutto in champagne vinaigrette. 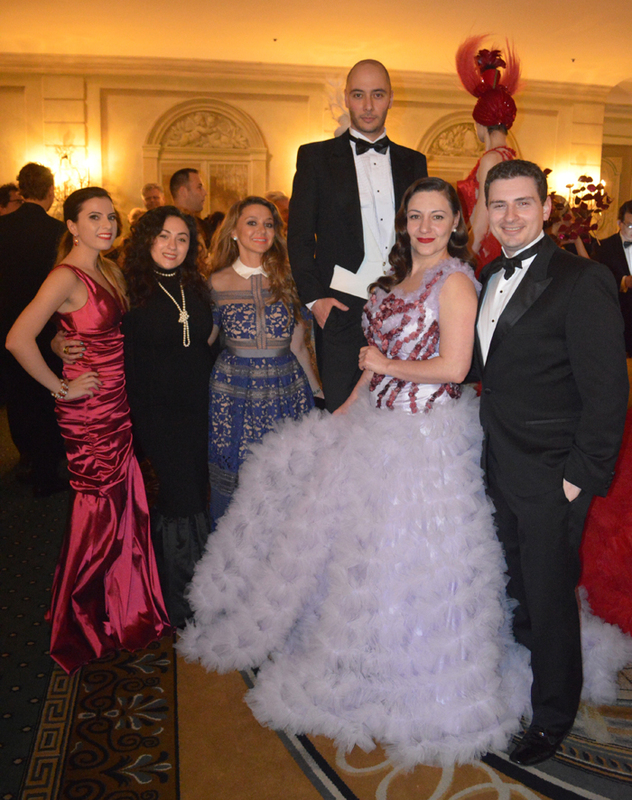 Russian Entertainers walked into the grand ballroom to perform classic Russian dances. 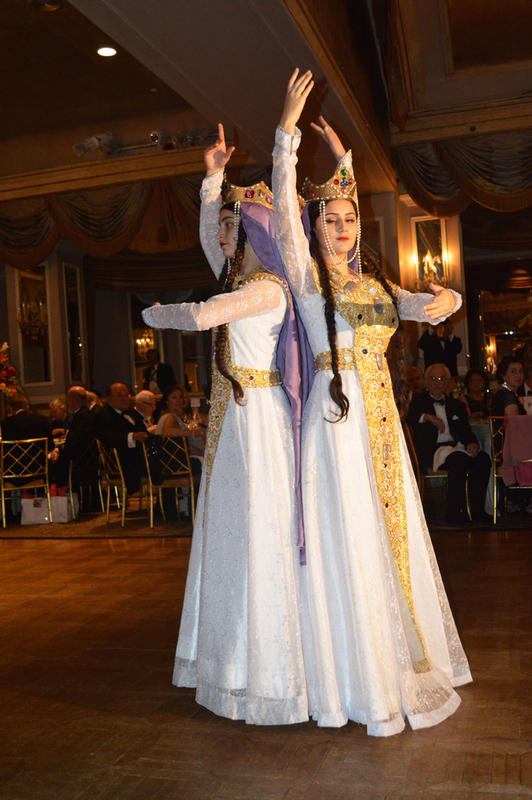 It was so incredible to watch the royally dressed dancers grace the dance floor like ancient nobility. Speaking of royals, one of my favorite performances was the above 3 Russian dressed princesses who literally looked like they were transported from the Romanov empire. 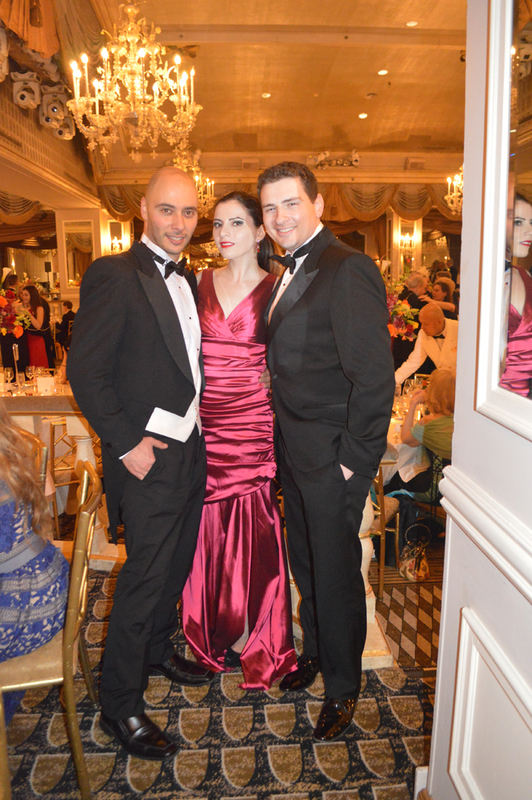 After the epic performances, guests were encouraged to hit the dance floor to dance to classic Russian music. One of my favorite guests was this sweet woman dressed in an awesome pink concussion that she accessorized with a grey sequin jacket and a show-stealing pink feather headpiece. Every time I went to take a photo of her she would turn around and give me the biggest smile. It was so lovely to see how sweetly her husband danced with her around the room, like she was the only one there. Serious relationship goals right there! I later had the privilege of meeting her, and of course she was just as sweet as I expected! 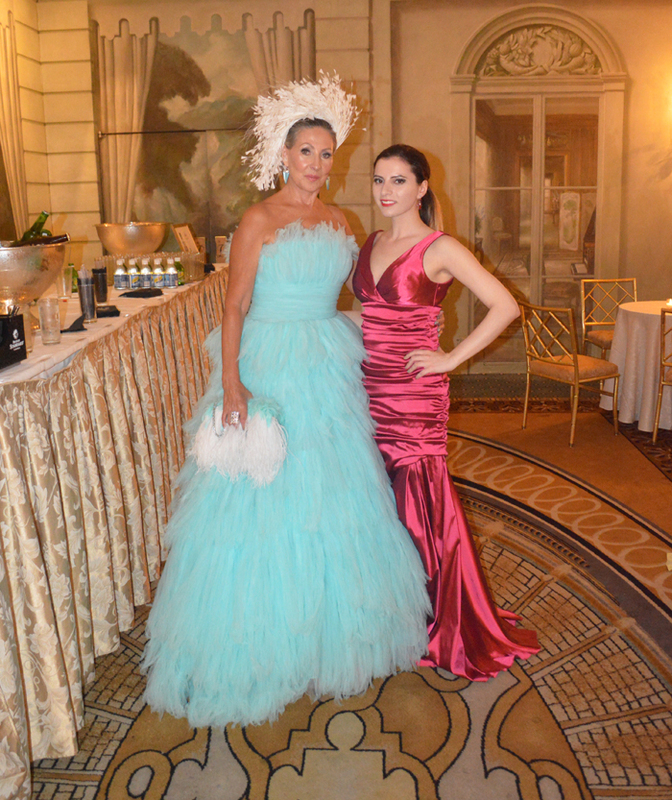 I couldn’t resist walking around the room and meeting guests. 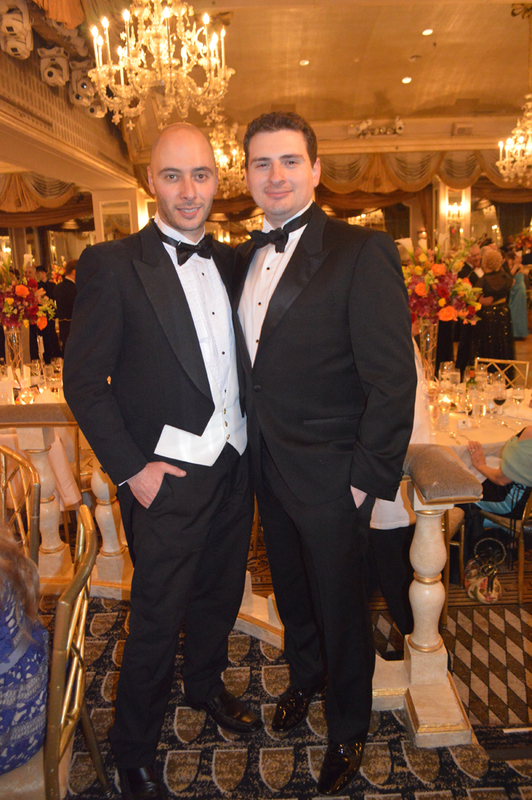 Leonid introduced me to his good friend Gannon Forrester, an award winning top real estate agent in NYC. After mingling for a bit, I returned to my table to find one of my favorite foods, steak! Not just any steak though, this one was a herb crusted filet minion that came with pommes parisianne, baby carrots and a bundle of asparagus. Dessert was equally unbelievable as they served a warm chocolate soufflé, cake served with espresso ice cream, fresh berries, crème anglaise, lemon panna cotta with wild citrus sauce and assorted petit fours and cookies. 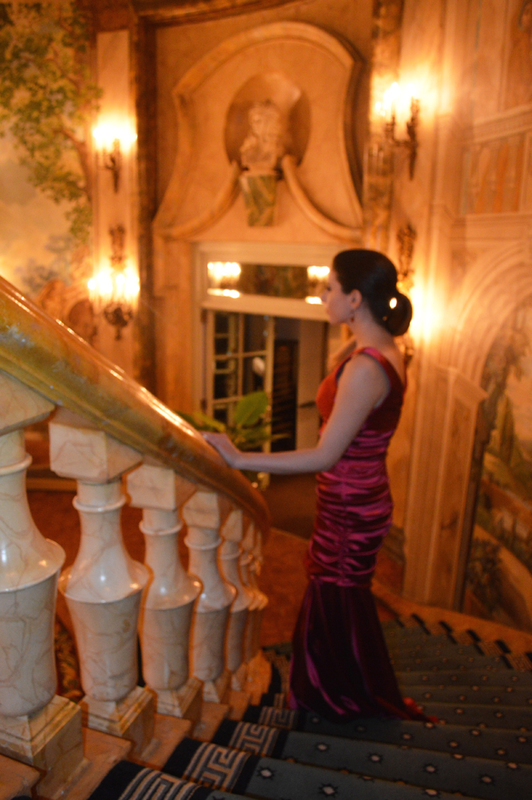 Post dinner, Eleonora and me went to explore the elegance of the Pierre Hotel. Every inch of the hotel was so incredibly beautiful, especially their marble staircase that sits under a domed sky-blue ceiling and trompe l'oeil murals of pastoral scenes. We of course couldn’t resist to have a mini photo-shoot here! How epic are Eleonora’s tattooed wings? If I wasn’t scared of needles, this would definitely be a tattoo option for me. 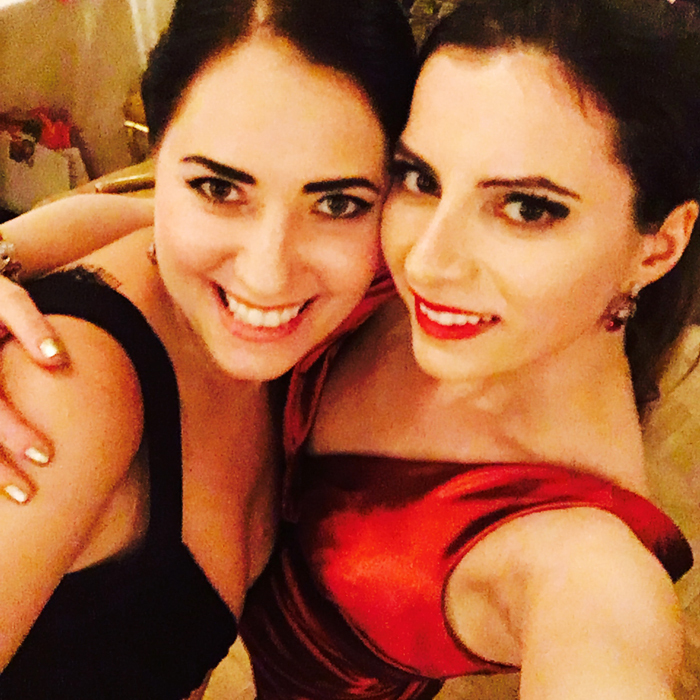 Eleonora and me spent the remainder of our time dancing the night away, and what better place to do that than on a Friday night, at the Russian Nobility Ball. 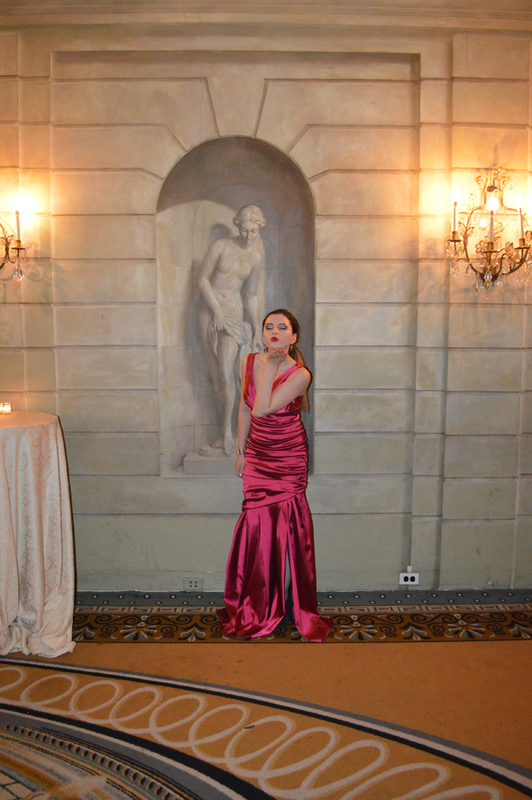 We couldn’t find our princes, so we hit the dance floor ourselves, and of course had the time of our lives! 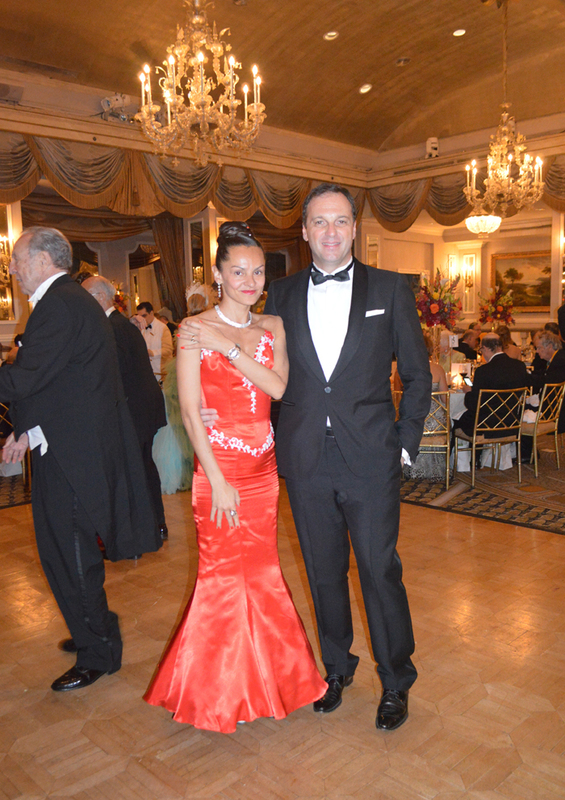 Thank you so much Princess Elizabeth for extending the invitation for me to cover the Russian Nobility Ball. As a Russian-American, it was so humbling to be there, and know that money raised went to helping people around the world, and in Russia. If people didn’t help my family and me, I would never have had a chance to thrive, and work to create something meaningful with my life. More so I would have never had a chance to experience this, and I’m so lucky that I have... Cheers to many more of these epic life moments!